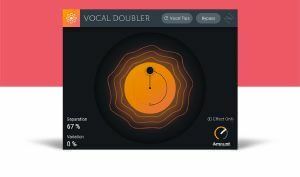 Vocal Doubler is being offered by iZotope as a free product. To get it, you need to visit the iZotope website and get your serial number. As far as I can tell, this is not a limited time offer. Get thicker, more engaging vocal sounds with the new Vocal Doubler plug-in, an easy-to-use and powerful tool for creating doubled vocals instantly. 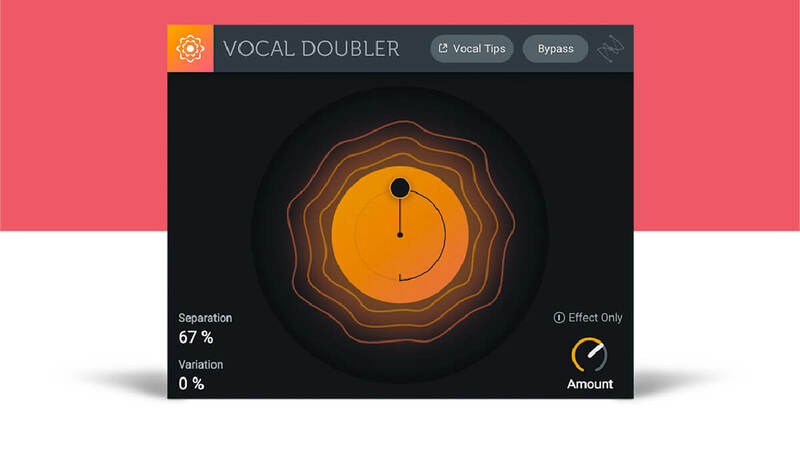 Vocal Doubler creates polished doubling effects with an intuitive interface and one low price – FREE. The iZotope Vocal Doubler is a free plug-in designed to enhance your vocal with a natural doubling effect, adding richness and depth. Their acclaimed doubling technology has been reimagined with a brand new interactive UI dedicated to helping you achieve a great double faster than ever. iZotope RX7 is Coming Soon! iZotope announced that RX7 is coming soon. To celebrate, iZotope is has a sale where you can save up to 50% off RX6 and get a free upgrade to RX7 upon its release. Since it was first released in 2007, RX has helped music and post production specialists push the barriers of what’s possible in audio repair. With RX7, we challenged ourselves to fix the unfixable. Soon, you’ll be able to reshape the intonation of a dialogue performance, rebalance musical elements in a mix, isolate or remove vocals from a song – and all in multi-channel audio up to Dolby Atmos 7.1.2. RX6 Advanced: Perfect for post production professionals and facilities. Every so often, iZotope has a sale. Their Back to School Sale has begun! You can save up to 50% off of selected products. Go from passing to professional this Summer! The Back to School sale includes iZotope’s Music Production Suite, O8N2 Bundle, Ozone Elements, Ozone 8 Standard, Ozone 8 Advanced, Neutron Elements, Neutron 2 Standard, and Neutron 2 Advanced. Music Production Suite combines seven of the most powerful music production tools in iZotope’s portfolio – Ozone 8 Advanced, Neutron 2 Advanced, RX 6 Standard, Nectar 2 Production Suite, VocalSynth, and Trash 2 Expanded, in a go-to collection of the industry’s best mixing, mastering, vocal production, and audio repair tools. The regular price is $999 USD, but is on sale now at $499 USD. O8N2 Bundle combines two award-winning product lines for mixing and mastering with new intelligent metering and analysis tools. Get Neutron 2 Advanced for mixing, Ozone 8 Advanced for mastering, and Tonal Balance Control, the industry’s first visual analysis tool that allows you to control any instance of Neutron 2 or Ozone 8 Equalizers across your session. It is regularly priced at $699 USD, but is in sale now at $399 USD. You can also purchase Ozone Elements, Ozone 8 Standard, Ozone 8 Advanced, Neutron Elements, Neutron 2 Standard, and Neutron 2 Advanced individually. All are being offered at a discount from their regular prices during iZotope’s Back to School Sale. iZotope has introduced its Nectar Elements Vocal Mixing Plug-in. It introduces Vocal Assistant, the latest innovation in iZotope’s assistive audio technology, which helps mix your vocals quickly and allows you more freedom to make those creative decisions. This re-introduction of Nectar Elements streamlines meticulous mixing workflows by acting like an assistant who takes care of time-consuming tasks with your creative judgement. The Vocal Assistant in Nectar Elements analyzes and adapts to your vocal sound, taking the guesswork out of placing your vocal in the mix. The biggest difference from the previous version of Nectar Elements is Vocal Assistant. It uses machine learning to learn any vocal and apply a custom sound for it. Pitch, De-ess, Dynamics, Clarity, Tone and Space are all custom-built to help you get a professional sound with incredible speed. The new version of Nectar Elements includes iZotope’s latest DSP and simplifies many of the modules that were included in the old version of Nectar Elements. What they learned from the first iteration of Nectar Elements is that while presets are useful, they were rarely custom built for the vocal. Vocal Assistant ensures that your vocal chain is custom built every time with machine learning, rather than having a set of parameters that have zero context about the source material. Nectar Elements just cracks the surface of what iZotope has planned to help relieve common mix issues. With technological additions like Track Assistant, Master Assistant, and Vocal Assistant, iZotope aim’s to provide time-saving, intelligent features that get you to a great result faster while easing frustrating issues like masking, tonal balance, and now vocal placement. For a limited time, iZotope is having a Flash Sale. You can save up to 60% on select iZotope products now through May 29, 2018. Eligible products include Nectar 2 Production Suite, Insight, VocalSynth 2, and Creative Suite. Nectar 2 Production Suite is designed for voice. Some features include: 11 vocal processors, pitch correction and editing, Breath Control plug-in, and 150+ presets. Nectar 2 Production Suite is usually priced at $299, but is available for $99 while the Flash Sale is going on. Insight is a comprehensive metering suite. Some features include: fully customizable views, 5.1 surround support, true peak metering, and immersive visualizations. Insight is usually priced at $199, but is offered for $99 during the Flash Sale. VocalSynth 2 is an immersive vocal experience that evolves with your productions. VocalSynth 2 is usually sold for $199 but is on sale now for $149. Creative Suite has 7 inspiring tools to invigorate your productions. It’s regular price is $499, but you can get it for $349 during the iZotope Flash Sale. iZotope announced that VocalSynth 2 and a new iZotope Creative Suite are “coming soon”. They put together a video that gives a first look at VocalSynth 2, including the new user interface, the brand new Biovox module, the enhanced and rebuilt Shred effect, and more. This month, we’re celebrating and enabling creativity. We’ve been cooking up something here at iZo HQ, and we’re thrilled to announce two exciting updates to our creative product line: VocalSynth2 and the iZotope Creative Suite, featuring seven of our innovative software tools to invigorate your music productions. Improvements have been made across the board in VocalSynth2, including a new module, new and improved effects, deeper control and customization for every module, inter-plugin communication capabilities that work with Ozone 8 and Neutron 2, enhanced stereo processing functionality, and optimizations in sound quality and performance. Biovox – A new module that models the physics and sounds of the human vocal tract. Use it to adjust human vocal characteristics like nasality, vowel shapes, and formants for a smooth, textural vocal treatment. A Stompbox Playground – For VocalSynth2, iZotope focused on improving sound quality and adding deeper control across the plug-in. They added advanced controls in all modules, including access to Vocoder band controls, per module, Oscillator presets, and per module panning and filters. Inter-Plugin Communication – For existing Music Production Suite, O8N2, Ozone 8, or Neutron 2 customers, iZotope added the ability to see VocalSynth2 in Neutron 2’s Masking Meter and Visual Meter, as well as in Tonal Balance Control. The iZotope Creative Suite is a collection of iZotope’s most exciting, inspiring products, focused on creative workflows for music production and sound design. Included in the Creative Suite are VocalSynth2. Iris 2, Trash 2 Expanded, BreakTweaker Expanded, Stutter Edit, DDLY, and Mobius Filter. 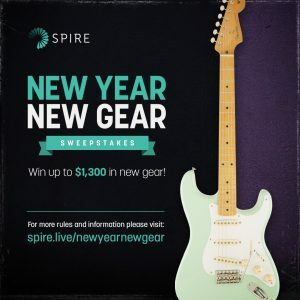 The Spire “New Year New Gear” sweepstakes is sponsored by iZotope. You must enter by January 31, 2018. The sweepstakes is giving away over $1,300 of new gear. There are two ways to enter the “New Year New Gear” sweepstakes. The first is to purchase a Spire Studio by January 31, 2017. The other way is to sign up for the Spire Newsletter mailing list. To do that, you need to enter your email address into the box on the sweepstakes website. The newsletters will include tips and tricks on how to get the most out of your songwriting in 2018. 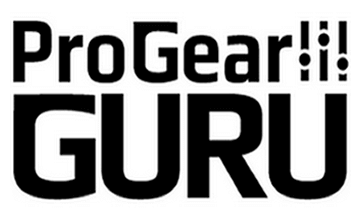 Those who enter the sweepstakes, by either of those two methods, will be automatically entered to win the “New Year New Gear” prize packages worth over $1,300. Grand Prize ($800 value) – Fender Classic ’50s Stratocaster with gig bag. The Terms & Services call it the “Spire Sweepstakes”. The Spire Sweepstakes ends on January 31, 2018, at 11:59 PM (Eastern Time). The sweepstakes is open to legal residents who are 18 years of age or older. It appears the Terms & Conditions are talking about legal residents of the United States and Canada. The winners of the sweepstakes will be selected in a random drawing from among all eligible Etnries received through the Promotion Period. The winner will be notified by email at the email address provided in the Entry Information on February 15, 2018.
iZotope is obsessed with great sound. Their intelligent audio technology helps musicians, music producers, and audio post engineers focus on their craft rather than the tech behind it. For a limited time, iZotope is having a Black Friday sale. This sale will expire on November 30, 2017. The sale you’ve been waiting for all year is now here. Get any of our new Elements plug-ins including Ozone Elementals (with Master Assistant), Neutron Elements (with Track Assistant), and RX Elements (with the RX Audio Editor and Voice De-noise) for only $29 each. Or, get all three as part of our new Elements Suite for only $79. Ozone Elementals, Neutron Elements, and RX Elements are usually $129 each. The Elements Suite is usually $199. Visit the iZotope website for more information, and to see what else is on sale. iZotope introduces the next evolution of mixing and mastering! 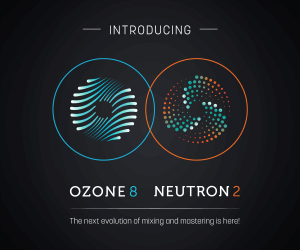 Ozone 8 and Neutron 2 have game-changing features, including the ability to communicate with each other through the Tonal Balance Control plug-in. 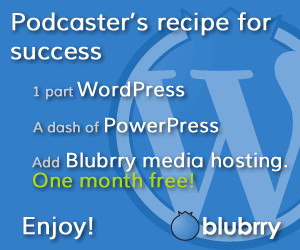 For the first time, you can fix mix issues that hinder mastering and bridge the gap between the two workflows. Achieve tonally balanced, professional mixes and masters that sound great in any listening environment. 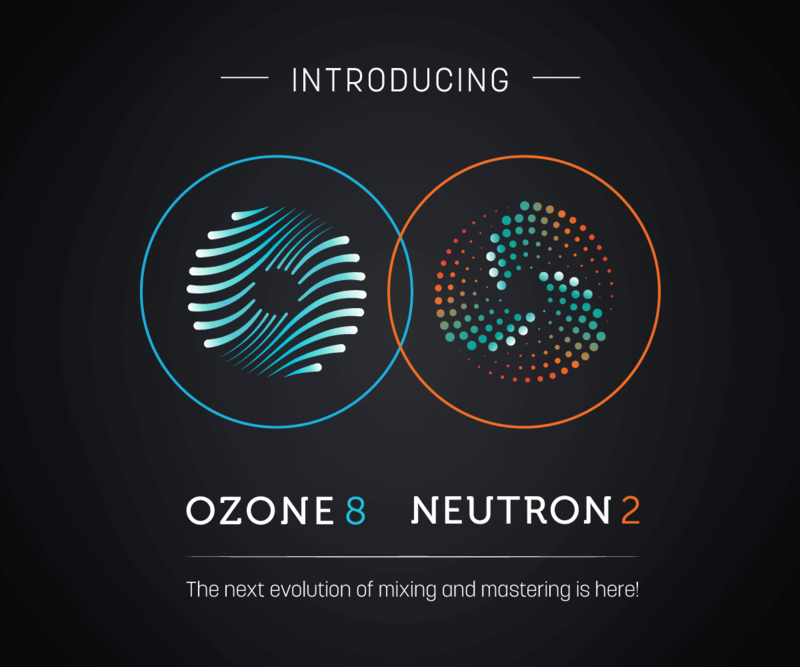 Ozone 8 and Neutron 2 are also packaged with a host of new features, including assistive technology, intelligent DSP, visual mixing, and many other enhancements. With advances in inter-plugin communication and machine learning, these are the most innovative music production tools we’ve ever released. Ozone 8 is the industry’s most comprehensive mastering suite. Ozone 8 adds to its legacy by introducing new intelligent signal processing, spectral shaping, Tonal Balance Control, and more. It’s the smartest version of Ozone yet. Neutron 2 provides a smarter way to mix. Achieve a clear, well-balanced mix with Neutron’s innovative new mixing and analysis tools. Control every aspect of your music, from the visual soundstage of your tracks to the tonal balance of your mix – all with iZotope’s award-winning digital signal processing. Now through October 31, 2017, iZotope is offering introductory processing on their new music production lineup. If you own an iZotope product, you are eligible for a special discount on Neutron, Ozone, Music Production Suite, and the O8N2 Bundle. Visit the iZotope website for more details.